This sensor is to only be used with a "flying magnet" target like Holley P/N 554-126. The internal Hall switch triggers from the South Pole of a magnet. It will not detect a ferrous metal target. Holley EFI Cam Sync Signal is designed to generate a cam sync input signal to the ECU when used in flying magnet cam trigger setups. 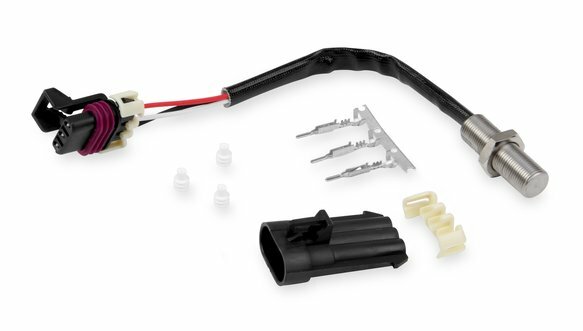 This sensor is a Hall Effect sensor, meaning it outputs a square wave signal, which is ideal for use with most electronic fuel injection systems.